I just got back from a trip to South Africa, where I had the amazing opportunity to work with The Starkey Hearing Foundation at one of their international mission sites. I am so impressed with what The Starkey Hearing Foundation is doing, and am honored to have been a part of it. Their mission of “So the World May Hear” is about improving the lives of individuals, families, and communities around the world through better hearing and caring. They have pledged through the Clinton Global initiative to fit more than 1 million hearing aids to people in need in this decade. In South Africa, my husband and I worked with The Starkey Hearing Foundation towards this goal. We spent two days with the team helping to fit hearing aids on over 500 people in Soweto, South Africa. Founder of The Starkey Hearing Foundation, Bill Austin, and his wife and co-founder, Tani Austin have devoted themselves to this mission by traveling around the world, using hearing as a vehicle to express caring. I wasn’t sure what to expect when I arrived for the first day of the mission. As I looked around, I saw hundreds of people sitting and waiting patiently for their chance to receive better hearing. Even though the wait was long for some, they were still thrilled to be there. Some traveled hundreds of miles from all over South Africa to receive their hearing aids and the opportunity for a better life. The team from The Starkey Hearing Foundation was ready to go early in the morning, with their three stations set up: check-in, fitting, and counseling. The check-in station is responsible for getting the process started. They take the person’s information and get all their paperwork in order. I was amazed and excited by the organization process that they had implemented. The patients are all accounted for so that when they leave the site that day, The Starkey Hearing foundation makes sure they are connected to a local audiologist or clinic so that they can receive follow-up care. That is such an important part of the hearing aid fitting and they make sure no one is forgotten! The patient’s ears are checked and cleaned before they move to the fitting station, which is where I got to participate. You could see the excitement on their faces, as well as some anxiety as they knew their hearing (and their life) was going to be improved that day! During the fitting, we try out several different hearing aids and volume levels with the patient until they are able to hear our voices comfortably. This was the most rewarding part! Many times there would be huge smiles and sometimes even tears of joy when they were able to hear voices for the first time. For some of the people receiving hearing aids that day, they have never heard normally before due to a hearing loss from birth. For some of the others, it may have been many years since they’ve heard well. Many of them had a family member or friend with them who were just as thrilled with being able to communicate with their loved one! You could really see an immediate change in these people’s confidence and happiness as soon as they could hear! Once the hearing aid fitting was successful, the patient moved to the counseling station. This is where they learned how to use their hearing aids, from how to adjust volume, how to change the batteries, and how to put the hearing aids in their ears. Some may argue that this was the most important station they visited that day! They also received a supply of batteries and a follow-up appointment scheduled in 2 weeks with the local providers to make sure their new hearing aids are fitting well for them. The quality of care they received from the team was incredible! There were thousands of hearing aids and earmolds to choose from, all donated by the Starkey Hearing Foundation. Not one person left that day without receiving the gift of better hearing. I received many hugs and many thanks from the people I saw. I felt so thankful for being there and being able to experience the joy that comes with helping someone else. 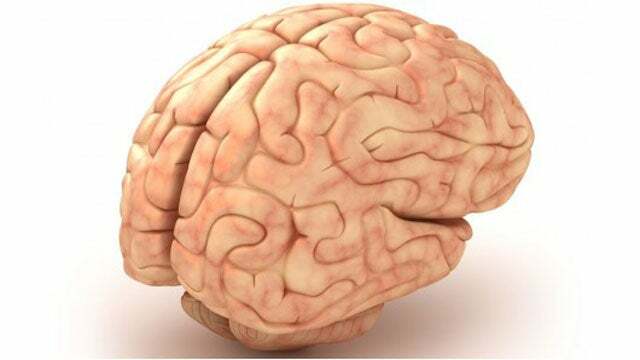 There is nothing else in the world like it! The impact that The Starkey Hearing Foundation is making on the world is remarkable. It goes beyond better hearing. It’s about caring for others and doing your part to improve the lives of others. 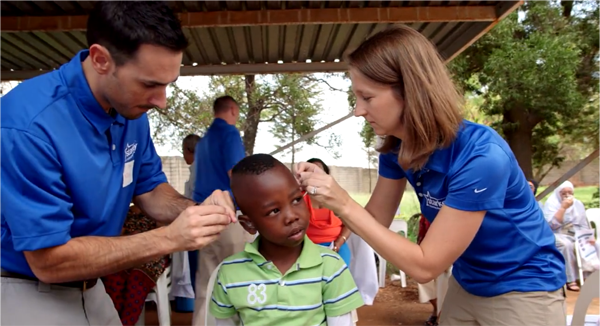 You can follow The Starkey Hearing Foundation on their website www.starkeyhearingfoundation.org as well as follow along with the team on their missions by tuning in to the documentary on www.operationchange.com. 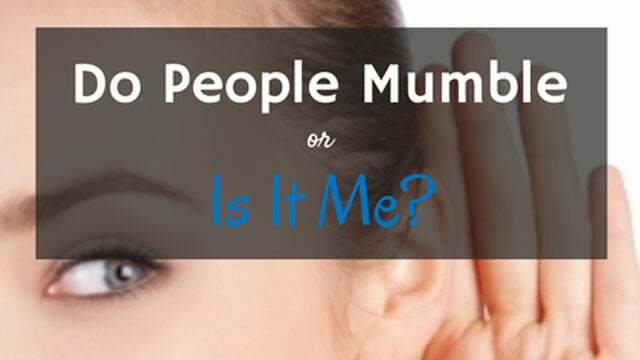 Do People Mumble, or is it Me? The links on this page are not working. Thanks John! We got them fixed. How can I get my son’s hearing aids repaired? Or you can contact a local Audiologist for help!